If you want a break from cycling or walking, why not stop at FNRS Equestrian Centre Bergemo for a nice lunch in our Foyer? Our delicious toasted sandwiches, homemade soup, sausage rolls, cakes, and many other delicacies are a feast for your taste buds! Are you walking the Pieterpad between the villages of Gennep and Vierlingsbeek? Aching feet and an empty stomach? 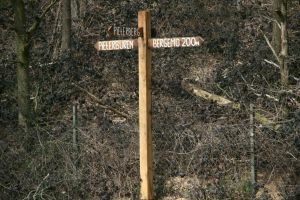 Follow the Pieterpad sign for Bergemo. You are most welcome to put your feet up in our Foyer and enjoy a nice cup of coffee/tea, a slice of cake or a delicious lunch. Please note that customers are not allowed to bring their own food and drink. In our Foyer you will find a local produce corner showcasing products from businesses which are committed to providing the public with a taste of the regions very best artisan products! Every product has its own story to tell. We offer products from e.g. Bourgondische Hoeve, Frutti Confetti, Carpe Diem, Heleno Kruiden (herbs), Ingenbleek Asparagus and the Cornelissen Farm Shop. Tip! Our local products make a unique gift for family and friends! Come and sample our local produce! All welcome!